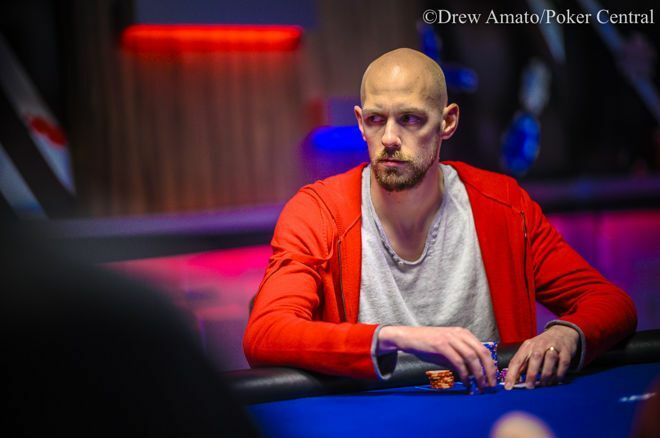 Stephen Chidwick is leading the final six in 2019 USPO $25K PLO, his 4th final table of the series. It's been another impressive US Poker Open for Stephen Chidwick. After taking down the US Poker Open Championship in 2018, Chidwick has been unstoppable once again in this series. Over the course of the first six events, Chidwick has four cashes and four final tables. His cashes so far total up to over $350,000 and with a cash in Event #6: $25,000 Pot-Limit Omaha, he books another score of at least $58,500, bringing his total cashes to at least $400,000. Not only that, he'll be carrying the chip lead into the final table as well, being over a million chips ahead of his nearest competitor. But there were also plenty of players who fell today as well. Among those who entered but didn't make it through the day were Alex Foxen, Chance Kornuth, Erik Seidel, Dan Shak, Phil Galfond, David Sands, Justin Bonomo, and Brandom Adams. Event #2 winner Jordan Cristos also hopped in the action today but he wasn't able to survive to make back-to-back pot-limit Omaha final tables. Ben Yu also fell today, unable to make his second cash of the series. Yu ran into the buzzsaw of Chidwick when he ended up making the second nut full house, but Chidwick made quads and that would spell the end of Yu's day. Players played down to the final six on Monday and at the final table of seven, one more would walk away without a payday. In the end, it was Jared Bleznick who fell as the bubble boy. Bleznick got it in with middle set against Chidwick's three-card wrap, and Chidwick turned the nut straight to send Bleznick home as the last player to walk away without any money. Bleznicks elimination guaranteed the final 6 players at least $58,500. Players will return on Tuesday, February 19th at 1 p.m. local where they will play down to a winner. A live stream of the event will begin at 2 p.m. and will be available on PokerGo. Don't forget that you can watch US Poker Open final table action live streams exclusively on PokerGO. Click here to get access for just $10 a month or get an annual subscription for just $99. PokerNews will also return with coverage for the event as well, so make sure to tune is so you don't miss a thing. The PokerNews live reporting team will be there to bring you all the Final Table action of this event. Stay tuned for updates on the remaining six events that follow. You can check out the updates via the US Poker Open Live Reporting portal.